When Will Oakley went looking for a place to live in Greensboro recently, he had one very important requirement that most 25-year-olds don’t consider. He needed a workshop. More specifically, he needed a space where he could build boats. On weekdays, Will is an interiors engineer for Volvo Trucks based in Greensboro. He designs the cabinets, bunkbeds and trims that fill the massive cabs of these workhorse vehicles. 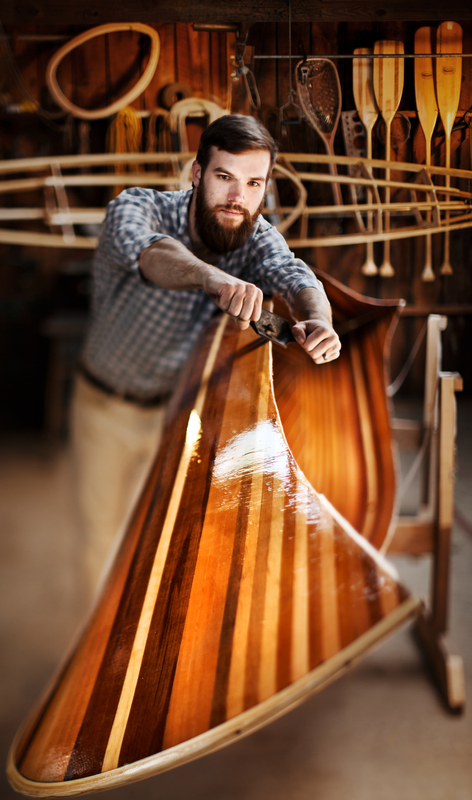 On weekends, he’s a wood artist – crafting kayaks, canoes, guitars and even a bike with his hands. He started woodworking with a little inspiration from a neighbor, who traded Will’s dog-watching skills for a lesson on how to make a small kitchen knife. 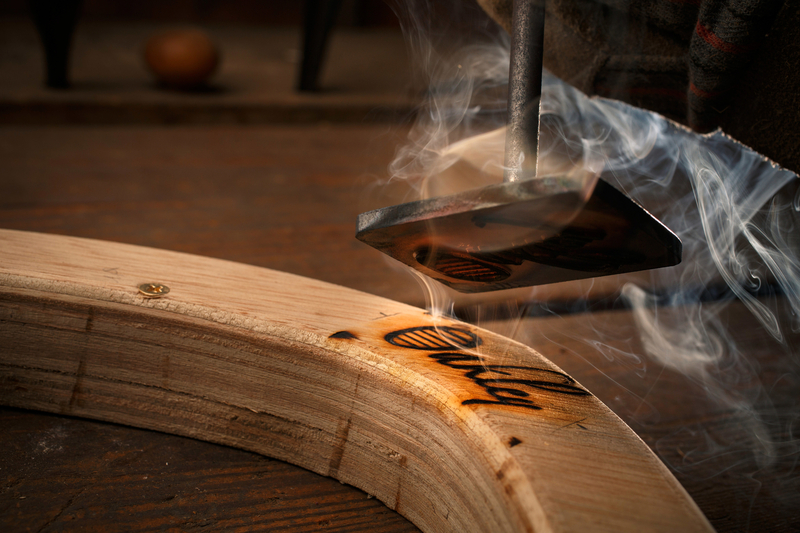 He was 15 at the time, and had no other woodworking experience, so naturally he decided to build an instrument. It took a lot research – and a lot of mistakes. 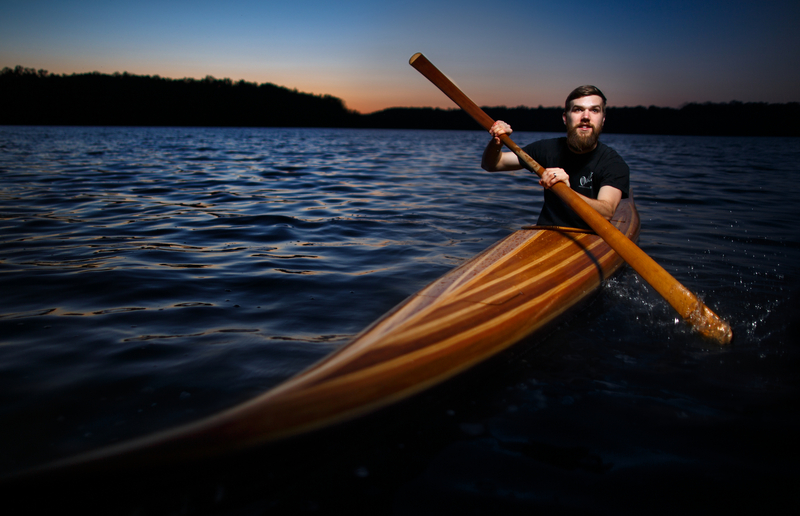 That same do-it-yourself spirit inspired Will to make his own first kayak – a lacquered wooden frame of cedar and pine atop a fiberglass shell. It’s lightweight and fast. Then he moved on to cedar canoes, and his current project – a traditional skin-on-frame boat that features a wooden frame wrapped in fabric. When he’s not holed up in his workshop, you’ll find him out on one of the city’s watershed lakes, making good use of his masterpieces. It’s his passion.